Compassionate Caregivers are very special supporters of our shelter. This program is Berkshire Humane Society’s monthly sustained giving option. When you join this program, you help support the work happening all day, every day. From food and bedding to toys and treats, your monthly donations fund our efforts to shelter and care for the homeless and displaced animals of the Berkshires and beyond, giving them a second chance at a happy ending. On average, an animal spends a month waiting for a new home. Sign-up is easy. You can fill out the online form, or you may call (413) 447-7878 ext.131 and we’ll assist you over the phone. We will safely and conveniently charge your credit card each month for any amount you choose. Change this amount or update your information at any time by calling or emailing us. Our email is dbriggs@berkshirehumane.org. This monthly, sustained giving is extremely important because it supports our work throughout the entire year. $10 a month ~ Annually, $120 feeds 1 animal for 3 months. $25 a month ~ Annually, $300 covers exams & vaccines for 12 animals. $35 a month ~ Annually, $420 covers 1 scholarship and 1 guest speaker for Camp Humane. $50 a month ~ Annually, $600 spays/neuters 12 animals or covers medical costs for 3 SafePet animals. Other ~ Every single dollar saves lives! Berkshire Humane Society (BHS) is a private, 501(c)3 non-profit open-admission animal shelter, and we receive no state or federal funding. We are entirely dependent on the generosity of our supporters. Donations are tax-deductible to the extent allowed under the law. 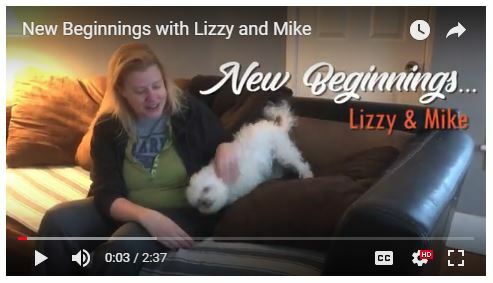 Lizzy adopted Mike from a hoarding situation, prepared for him to live only a year. Four years later, their happy ending is still going strong! Find out why Lizzy Brown, Berkshire Humane Society’s Humane Educator, believes in her shelter and why she became a Compassionate Caregiver. Putting your compassion to work is easy! What are the benefits of this program over giving once or twice a year when I can? First and foremost, our work never stops. The animals need care regardless of the time of year, holiday, or current state of our finances. This is why we need the help of our community. Monthly giving allows you to give in smaller amounts all year long, which allows us to put those funds to good use right away. It’s a lifesaving choice. For us and for the animals! Secondly, we will soon offer some fun benefits for these special supporters. There will be an annual luncheon that will treat supporters to a private tour of the shelter. You will receive emailed updates designed specifically for our Compassionate Caregivers. And we hope to have a little gift in the mail to you this spring. Stay tuned! After I signup, if I need to make a change to my gift, how do I do that? Just give Berkshire Humane Society a call at (413) 447-7878 ext.131 or email us at dbriggs@berkshirehumane.org. We can update your address, credit card info, or monthly gift amount – super simple! If my situation changes, and I need to stop giving, can I stop whenever I want to? Yes, of course! Just give us a call at (413) 447-7878 ext.131 or email us at dbriggs@berkshirehumane.org and we’ll cancel your gift at that time. For the fastest service, call us. Your card will be charged on the day you sign up and each month around that same day. When making a change, please try to call a week in advance of this date to ensure the change takes place before your card is charged again. What sort of documentation will I receive for tax purposes? Currently, monthly givers receive a receipt each month. Save these for your records. We may move to quarterly receipts – so you would have 4 statements to show for your year of giving.